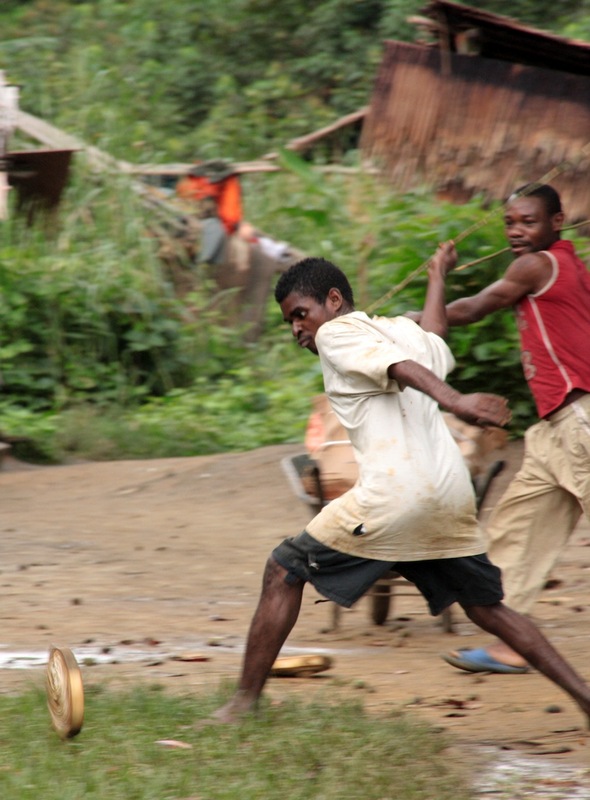 The Bagyeli/Bakola are hunter-gatherers who are in the process of adopting a more sedentary way of life. 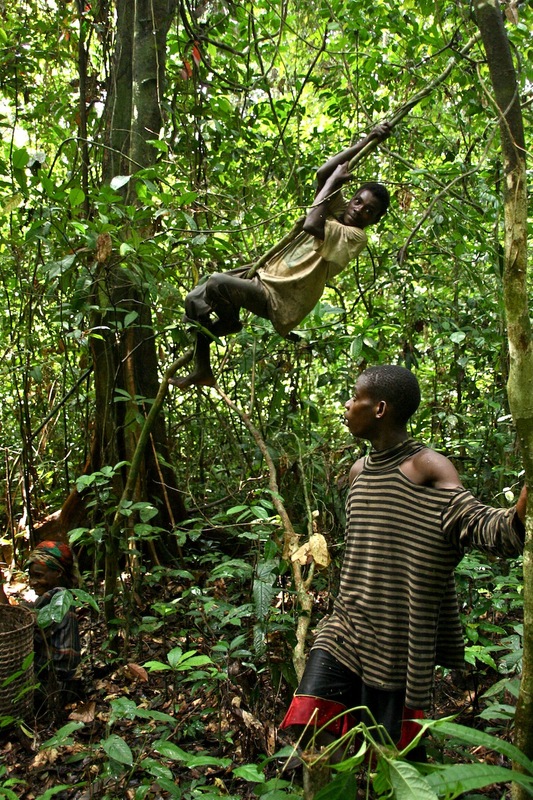 Making a living for the them includes traditional activities such as hunting, trapping, exploitation of forest products, and fishing. They increasingly depend upon farming, day labor, basket-making, and interaction with outsiders including healing, dancing performances, and tourism. The Bagyeli/Bakola are in symbiotic patron-client relationships with neighboring farmer groups. These relationships are long-term alliances which are inherited from generation to generation. Trade between the groups includes animals, honey, and forest products from the Bagyeli/Bakola in exchange for cultivated food, tools, and other goods from the farmer groups. The Bagyeli/Bakola live in groups averaging about 30 people. 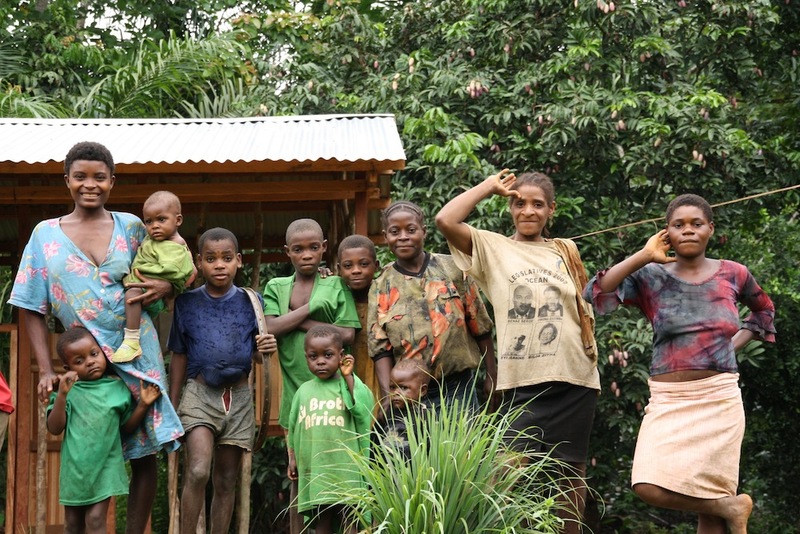 Some camps contain as few as five people, whereas the maximum size of a permanent Bagyeli/Bakola camp or village is about 150 people (including children). Farmer groups all live along the roads, and many Bagyeli/Bakola camps are near a farmer village and close to the road. There are other Bagyeli/Bakola camps (perhaps half of the total) which are more isolated: these are often10-20 km from the nearest road or farmer village. There are also temporary or seasonal camps which are found deep in the forest areas. 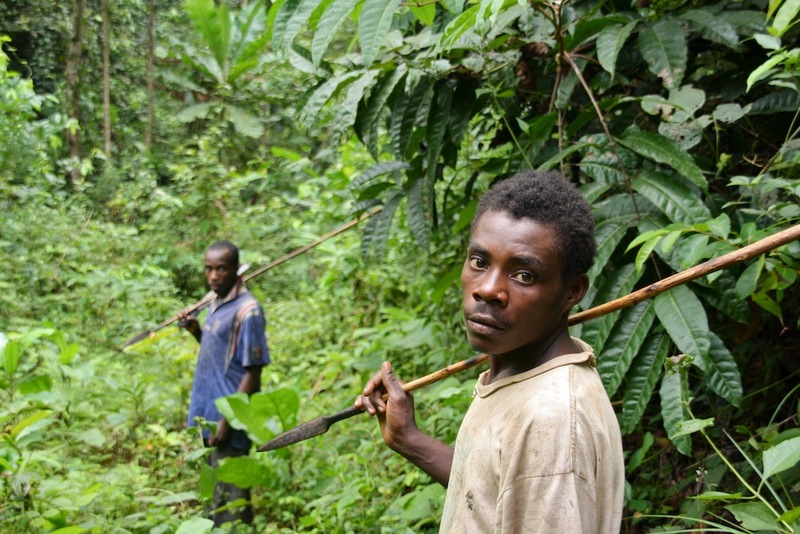 The Bagyeli/Bakola are in the process of “sedentarization” as they have less access to intact forest areas. 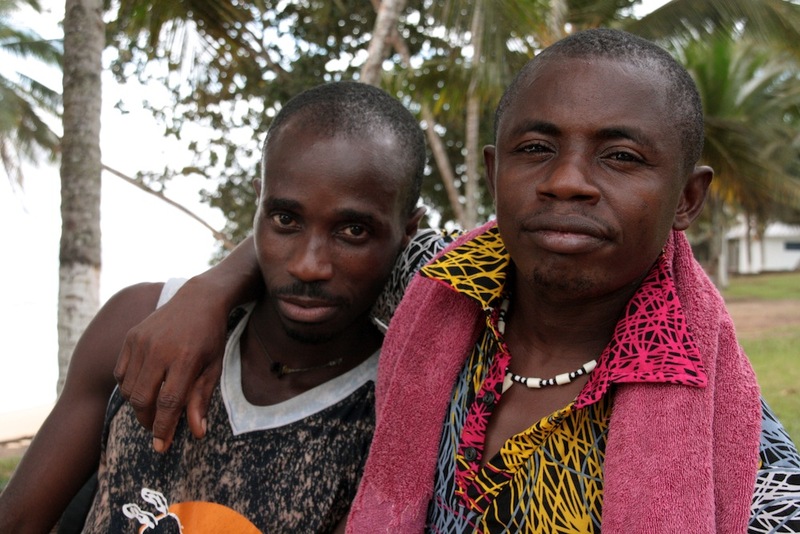 The Bagyeli/Bakola still are very mobile between nearby camps, but there is little travel between different regions. 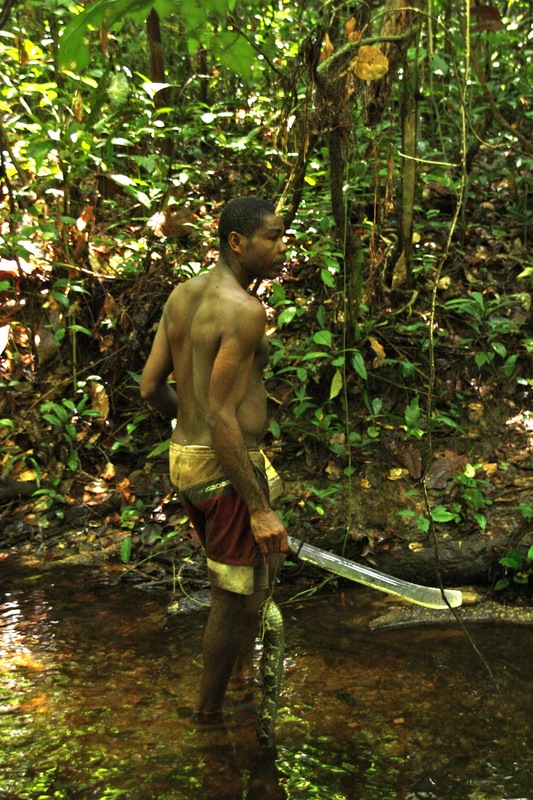 Many camps are now integrated into farming communities, and the Bagyeli/Bakola in these camps are less specialized for traditional hunting and gathering. 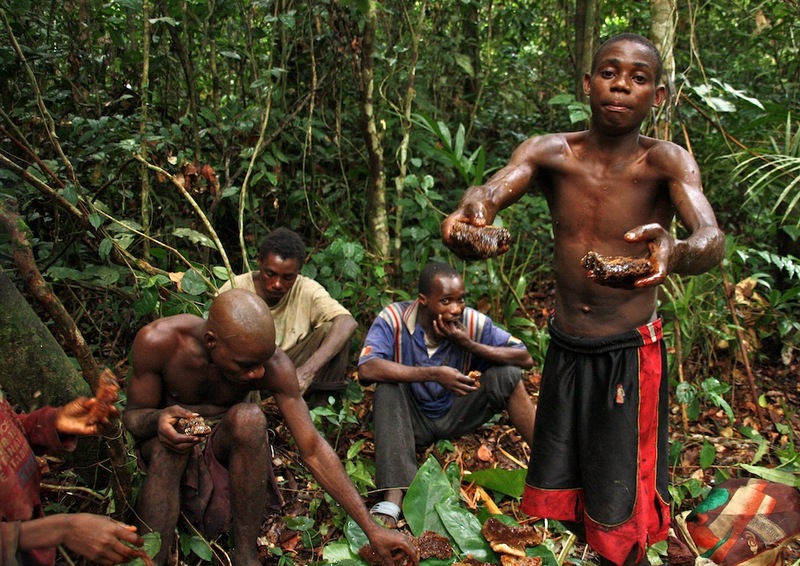 As hunter-gatherers, the Bagyeli/Bakola spend only a small part of the day on providing their family with food. Therefore, there is a lot of free time that young and old community members spend together playing, making music, and dancing. 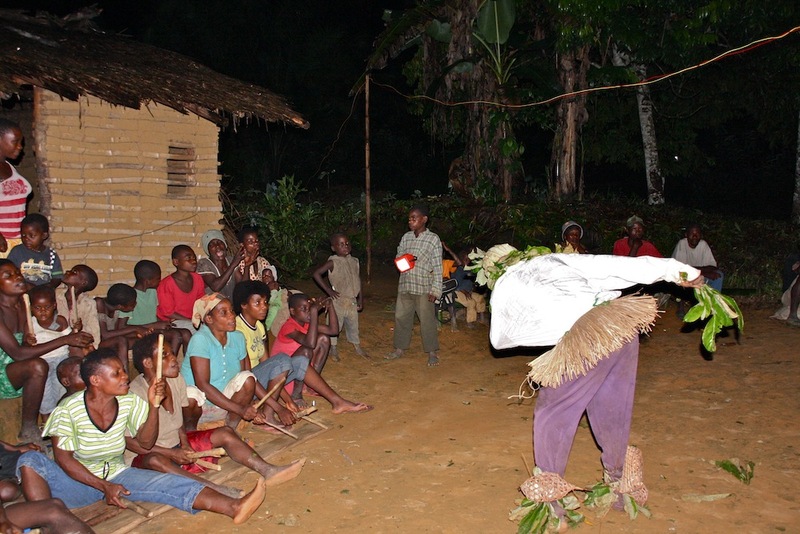 The most popular event is the so-called wapea dance, the “dance of the young”. 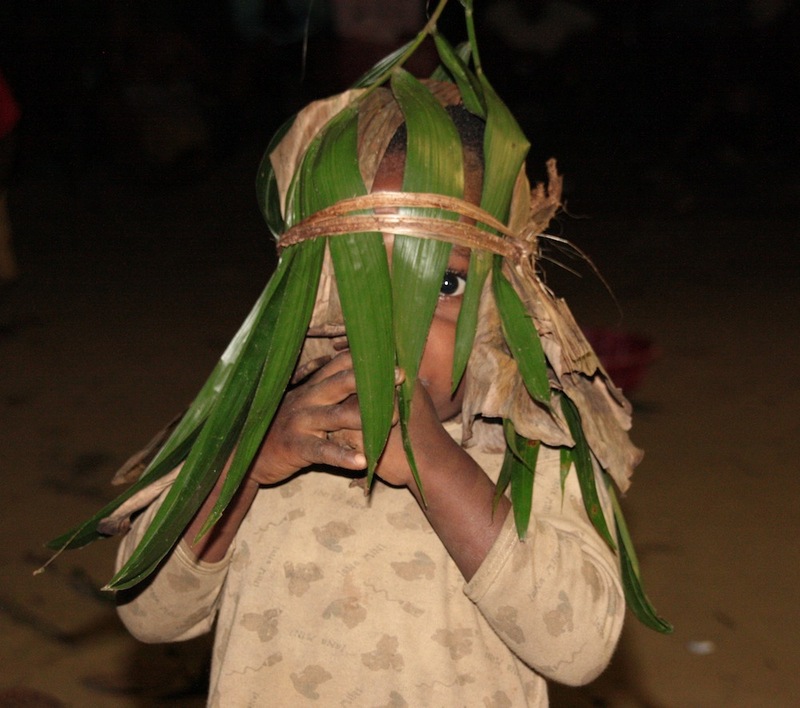 While the women sing and beat with sticks on a wooden log for the rhythm, men are playing drums and some of them dance as the wapea masks. I am called NZIE Simon, from Nkong Wayabo. The story of the tortoise . . .with . . . (interruptions from the crowd). I accept, I accept . . .(to speak about) this work which I am doing. I am working, making my baskets and this and that. That is what I am always doing in my village of Nkong Wayago. Here where I am, right here, I accept to give my voice to the box there. It must be that I continue making my baskets, and that it (the recording of Bakola) continues to develop like he (Daniel Duke) spoke about just now. I am called SOMBA, here I am. When I am in my village, I make a living. I can not live without a wife, because it is the woman who makes the life of a man. That is what I am seeking for, because I am trying hard to find a wife. I myself work for money. With the work that I do there, nothing is lacking in it. Thus my life is like this: I am the man who works at clearing fields with a machete in my hand. However large the field which you ask me to clear, I can clear it as you like it. I accept that . . . but my village is called Matsindi. I am from Matsindi. I accept this (language) work. I accept that my name be listed there (with the letter of invitation). I am called NANGA SAMBA Victor. I am a traditional healer. My village is Mougo Bande. I am a traditional healer. I treat people. I am the man who treats people. I say that. . . I want my name to go into that machine. I am a man who works. I clear fields and plant crops. I accept that my voice goes into the box of voices for the Bakola. I am called MINKOUE Monica. My village is called Kouli Ngangang. I accept that I place a song into the box of voices, so that it goes forward (to the other camps). May my name go forward, and my voice. I am the chief of the Bakola, and as chief therefore, for my part, I accept that the work that the White (Daniel Duke) brings here, so that the Bakola language may not disappear. Why? Because, if I really look at it (the situation), the language of the Pygmies is tending to disappear. Therefore, the White should continue his work so that our language is not lost. Even though many things have already disappeared, may our language not disappear! May our grandchildren and their children continue to speak the language, just as our ancestors spoke it: like this, like that. I have finished. I am NKOUR, I am in the village of Nkong Wayobo. I am the chief of the Bakola of the village of Nkong Wayobo. I command the village of Nkong Wayobo.